The world of streaming is fast diversifying as most people are now opting for cord cutting options to power more diversity in their viewing options. And while services like Netflix. Hulu, SlingTV, and DirecTV Now are ruling the roost in this domain, all of them are paid. So if you want access to a free streaming service with a unique model, then you would definitely want to know how you can watch PlutoTV. But you cannot get access to the whole service outside the US unless you use the Best VPN to bypass the geo-restrictions on the site! So here is our guide on how to watch Pluto TV from outside the US including reviews on the service itself, the channels it offers, VPN ban on the site, app reviews, bypassing geo-restrictions to access more channels and more by BestVPN.co! Offering unconventional LiveTV options, a comprehensive library of movies and TV shows and even online radio and music broadcasts, and that too for Free, PlutoTV has fast risen as one of the foremost streaming sites on the internet. But, the service is also subject to perhaps the most annoying thing on the internet at the moment i.e. geo-restrictions. PlutoTV services two different versions of its service, with the first one being for US residents and the other one being for International viewers. 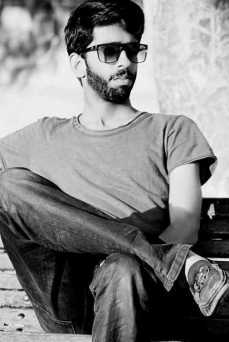 However, the International version of the service has nothing, absolutely nothing that could interest you. It contains very few channels and most of them are just plain gibberish i.e. just there to fill up the numbers. 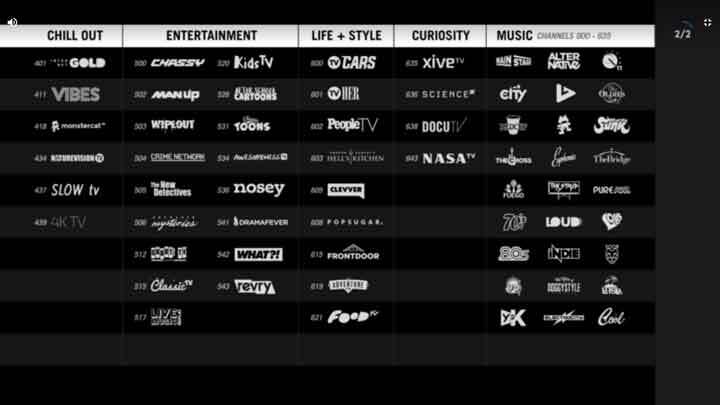 On the other hand, the US version of Pluto TV is where you can know exactly why the service is so popular and worth signing up for. 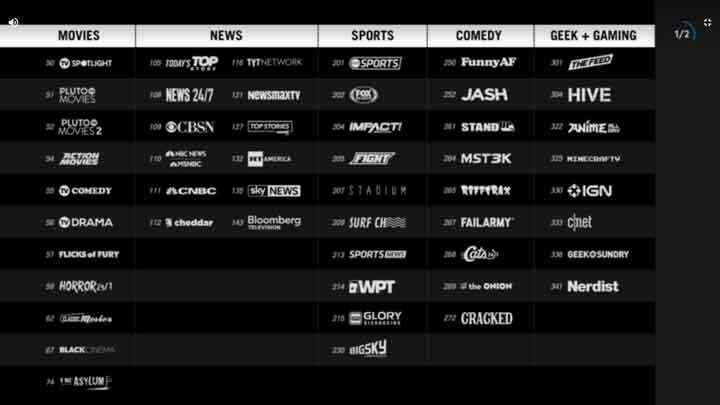 The list is not restricted to only these channels as most of the channels offered by Pluto TV are only available within the US. Copyright laws governing these channels in the online domain disallow Pluto TV to offer these channels from outside the IS. The only plausible way remaining to make this great service worthwhile is to acquire a VPN service and unblock the geo-restrictions on the service. I will tell you more about this in the next few lines. Most popular streaming sites nowadays have enforced a VPN on their sites. The most notorious such ban is in place on Netflix, which identifies that you are using a VPN almost instantaneously if the VPN provider you subscribe to doesn’t have the capability to bypass the VPN ban. And it’s not just Netflix but the VPN ban is in place on a lot of other streaming services like BBC iPlayer as well. But does Pluto TV has it as well? Well, after checking and analyzing it from every angle, I can assuredly tell you that Pluto TV doesn’t have a VPN ban in place at the moment. This might mean that the VPNs which can allow you to bypass geo-restrictions on Pluto TV are a bit high in number than those who can do the same thing on services like Netflix and BBC iPlayer. But still, do remember that unblocking is just good enough for a cheap VPN to be considered for use with a streaming service. 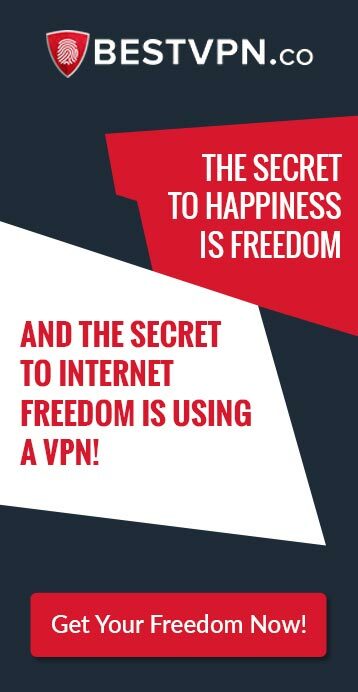 Do take a look at things like speeds, performance, list of security features available before signing up with a VPN service. Pluto TV offers compatibility with a diverse range of devices out of which I downloaded the Windows client, which was much better and user-friendly in its feel than the web service. The Window client is more TVish than a conventional OTT service. There are no thumbnails, block tiles, recommended show bars etc. which are common features of other streaming services like Netflix and Hulu. And hey, Tim Cook was there, coincidentally speaking about data and privacy, so I thought why not share this thing with you guys. If Apple is taking interest in protecting user data then its one of the best things that can make us feel more safer online. Note: You can unblock Pluto TV on any device via VPN apps available for all platforms! While a lot of people are aware that VPNs can allow you to bypass geo-restrictions, most of them don’t know that only a few credible providers offer a service that can actually fit that bill. Nearly all free VPN services, as well as a majority of paid services, cannot bypass geo-restrictions on most sites like Pluto TV. And while you cannot go through all the hundreds of VPNs available in the market right now to check as to which ones are working perfectly on Pluto TV and which ones are not, I have done the work for you already by testing out the VPNs that can reliably unblock Pluto TV as well as offer best speeds to support premium streaming quality on the site. Enjoy 100+ live channels and dedicate movie and TV libraries on Pluto TV! According to my analysis, Pluto TV is such a service that it should now come pre-installed in all types of TVs and streaming devices. Its just amazing as to how this free service can offer you so much entertainment at just the touch of a button. But since most TV and streaming device developers and makers haven’t yet made this amazing service a part of their regular entertainment repertoire, you need to install it as of now! Make sure that you are using a VPN service in order to unblock all the popular channels and movie and TV show library. Most VPNs now offer dedicated iOS apps for Apple TV so you won’t have much difficulty installing your favorite VPN, but if you still want more access to more installation methods, you can go over to our Best VPN for Apple TV guide. However, I don’t go through this way to stream Pluto TV on my Apple TV as it feels a bit cumbersome to me. A lot more convenient method to access Pluto TV here is using the AirPlay mode on your iPhone to do this. I would like to mention here that if you bought an Apple TV without having an iPhone then you are missing out on a lot more functionalities and ease than you imagine. The Apple ecosystem is interconnected and nothing out of it fits the bill as much as Apple devices themselves actually do. I just love this method for its intense convenience. Its like I am doing not work at all here and going through my iPhone feels a lot more easier than going through the options at Apple TV itself. If you have Roku, then Pluto TV is definitely one of the best free OTT streaming apps you can start with and there is no fuss at all on the downloading and installation front as well. You just need to ensure that your Roku is at least meeting the criteria of having a firmware of 7 or above for Pluto TV to function on it properly. Now simply click on “Add Channel” to add Pluto TV to your Roku channels! Enjoy the best of Pluto TV on your Roku! You do need to note here that Roku doesn’t offer in-built functionality for VPNs, so the best way to use a VPN on Roku is to create a VPN enabled Hotspot or even install the VPN on the router itself. You can find more such methods here in our guide on Roku VPN. Previously, Pluto TV didn’t have a dedicated app on PS4 and still, its device support page doesn’t show that it currently offers official compatibility with the platform. However, the app is now available on the Playstation store. So if you want to get the Pluto TV app on your PS4 console, simply go to their app store, search for Pluto TV and download and install it on your device. It doesn’t even require a subscription or login process since Pluto TV doesn’t require anything like that. If you are not from the US and want to get Pluto TV and other similar streaming services unblocked on your console, you will need to take guidance from our special guide on PS4 VPNs. The Xbox one console previously had the Pluto TV app on its stores but now it has been removed from its official app store. And no, there is no method to sideload it on the device as well, so you might have to wait until the official app comes live again before you can use it. Till then, you can still watch Pluto TV through a myriad of other supported devices listed on its support site. I couldn’t any relevant threads on Reddit where users were talking about unblocking the service outside US using best vpn reddit or even other tools like proxy. The only ones I could find talked about how you can better use the service by using its different features for e.g. one user mentioned how the “Hide channel” option can allow you to ensure that only your favourite channels appeared on the interface. Comment from discussion jabberwock101’s comment from discussion "Anybody using Pluto TV at home?". Does Pluto TV have Local Channels? Yes, if you are in the US, then there are many local channels available on Pluto TV like NBC, Sky News, Bloomberg etc. Yes! Pluto TV is not just free on Roku but it is free on every platform as the service earns it revenue by placing ads on its video content and not by a subscription based model. What Channels are Available on Pluto TV? As of October 2018, Pluto TV offers an exhaustive list of a 100+ channels including genres such as News, Sports, Entertainment, Science among others. It also offers dedicated channels for on-demand movies and TV Shows, along with some quirky channels dedicated entirely for popular shows like Fail Army and Wipeout. 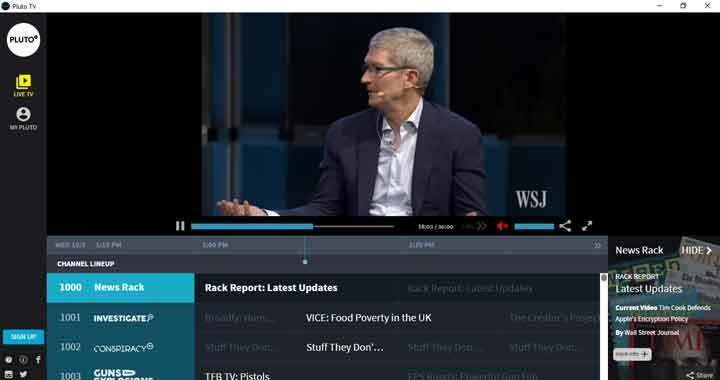 Pluto TV has garnered an impressive following of almost 6 million active users worldwide by being different from the rest of the conventional OTT services like Netflix, Hulu and Sling TV. Its free and immensely user friendly, and on top of that, it offers a distinctive service that feels more like traditional TV, thereby allowing the service to gain its own special place in the world of online streaming. If you live outside the US, then a Pluto TV VPN can allow you to access the best channels and movie and TV show libraries on this one hell of service.